I hope this message finds each of you doing well. I am writing on behalf of the Georgia Buddhist Vihara to invite you to start the new year by joining community members for a special day-long vipassana (mindfulness) meditation retreat on Saturday, January 2, 2016 from 7:30am to 5pm. This one-day meditation retreat will be held on-site at the Georgia Buddhist Vihara (3153 Miller Road, Lithonia, GA 30038). This one-day retreat is a great way to strengthen and enrich your spiritual development, cultivate wholesome qualities of mind, or just to explore the benefits that mindfulness meditation has to offer. 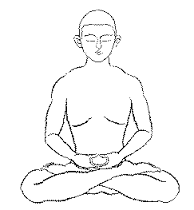 All meditation instructions and discussions will be conducted in English. This retreat is open to everyone - those who are new to meditation as well as those who are experienced meditators. 3:00–4:30pm: Sutta Discussion led by Ven. Wajirabuddhi Thera. The topic of the discussion will be the Mahāhatthipadopama Sutta (The Greater Discourse on the Simile of the Elephant's Footprint) - Majjhima Nikaya #28. You can access the sutta online here - https://suttacentral.net/en/mn28 (this is the Bhikkhu Bodhi translation from Wisdom Publication's The Middle Length Discourses). Please bring a copy of the sutta to the Dhamma discussion. I look forward to seeing you on Saturday, January 2 at the vihara as we bring in 2016 engaged in self-reflection and mental cultivation. I would ask that you RSVP (by email) in order to let us know that you will be joining us so we can adequately prepare for those who will be participating in the retreat. To confirm that you are planning on attending the retreat or if you have questions about our program, please feel free to contact me by email at justinhowell2112@gmail.com. Additionally, I would like to encourage you to join us for meditation and Dhamma discussion on Wednesday evenings from 7:00 to 9:00 pm. May you, your friends, and family members be well, happy, and peaceful…wishing everyone a very happy, healthy, and prosperous new year.